Well, you really CAN’T go wrong w/ such a stellar cast! (Dev Patel, just 21 y.o., said how BIG of an honor it was to work w/ all these legends, in a recent NPR interview.) 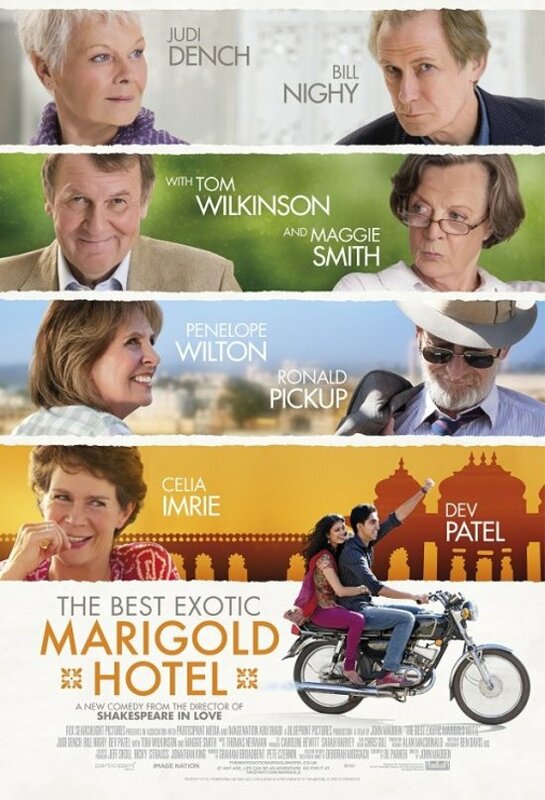 My fave characters were portrayed by Judy Dench, Bill Nighy (he surprised me w/ his skill), & Tom Wilkinson. Some viewers commented that Patel’s acting was very one-note (& I mostly agree w/ that). Perhaps he got bogged down in the Indian accent (he’s a British desi, after all); perhaps he just needs to learn more. The complete change of heart from Maggie Smith’s characters didn’t ring QUITE true IMO. There are some GREAT life lessons in this film, BUT it’s NOT schmaltzy or stereotypical. Fans of Paul Newman will be surprised by his (antihero) role in this HBO miniseries! There are some fine performances, esp. 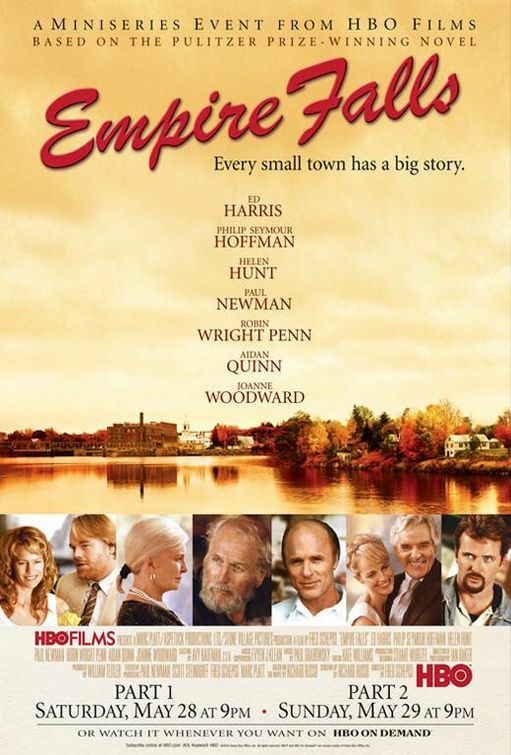 from Ed Harris, Aidan Quinn, Robin Wright Penn, & a young Danielle Panabaker. I thought it started out quite strong, BUT there is something disjointed about it. It’s set around two VERY different families in a working-class town of Maine. Three reasons to see this film (in order): 1) Russell Crowe 2) Kevin Spacey 3) Guy Pearce. I’m pretty sure this film was a star-making turn for Crowe. Also, this is one of the BEST edited films I recall seeing. I was surprised that Kim Basinger was so capable- she didn’t annoy me in this film! I think you need to see it twice to appreciate it- I don’t think I paid attention the first time. 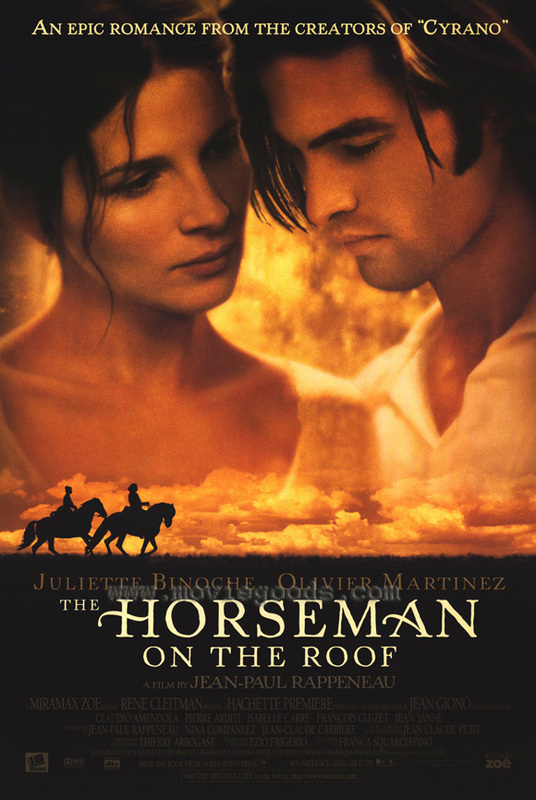 This historical French film is GORGEOUS (& not just b/c of the two leads)! There’s a LOT of natural beauty- greenery, mountains, snow, etc. Olivier Martinez, who you may recall from Unfaithful, portrays a true “romantic” (a individual of high ideals). Juliette Binoche is perfect (as usual), though there is NOT much dialogue. Plus, you have to give props to a woman who’s not afraid to act w/ a man prettier than her- LOL! La Binoche never disappoints.